Last Friday, I was at Power Plant Mall, Rockwell Center and while hurrying to get to the taxi stand supposedly to go home, I cannot resist making a detour and see what other people were fussing about. 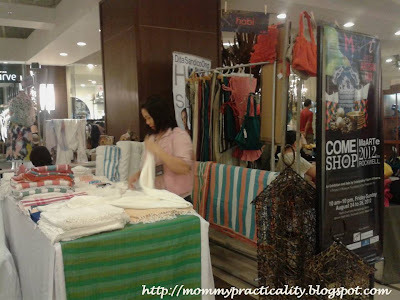 I remembered reading from Smart Parenting's Weekend Guide that it's the MaARTe 2012 Artisan Fair happening that day til only today, August 26 at the North Court and Archaeology Annex at the Power Plant Mall. 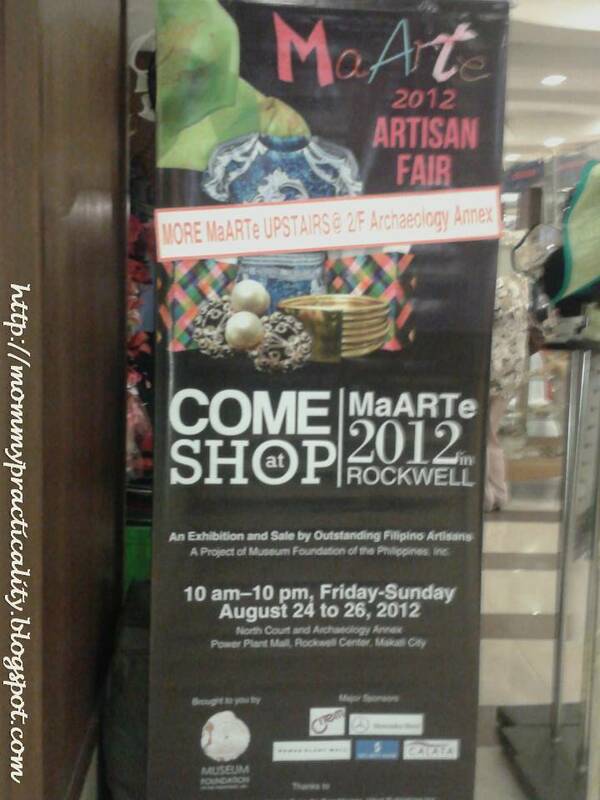 40 artists participate in this year's exhibition featuring unique products including jewelry, fashion and handicrafts. 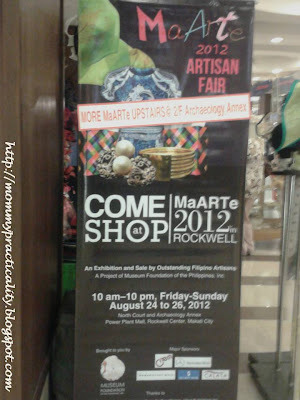 The MaARTe 2012 Artisan Fair is organized by the Museum Foundation of the Philippines whose mission is to make the arts open and closer to the public and ensure these are affordable. It was such a fascinating sight for me going through the beautifully made products of Filipino artists. 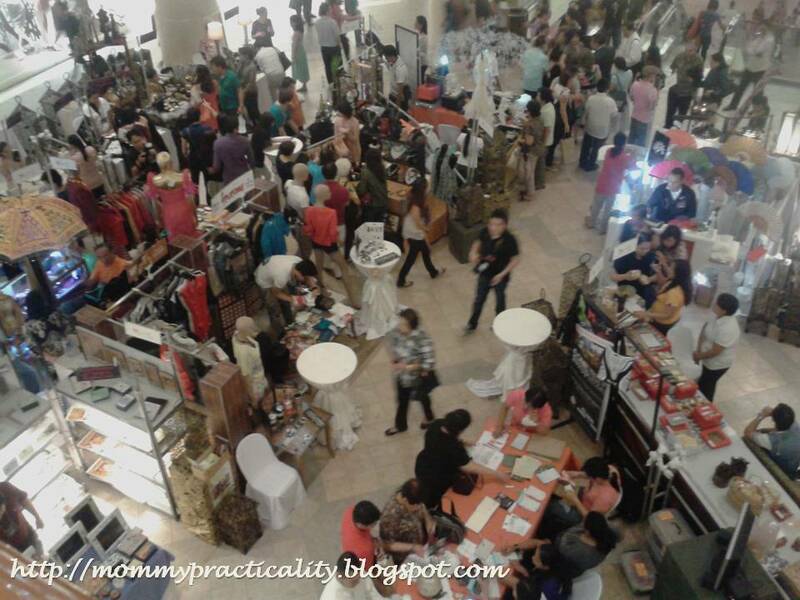 For more information or schedule of the next fair email the organizers at inquiry@museumfoundationph.org. Aaw I just found out about this now. 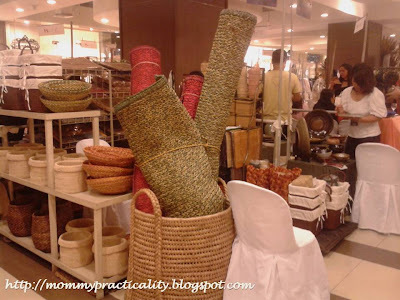 Would you happen to know the name of the supplier of the baskets in your picture above?